Only the trade for Wally Chambers can put a cloud on a very productive draft for the Bucs. Some necessary trades, some great late round selections, and fairly solid if not spectacular production from the early picks. The Bucs dealt the 4th overall selection to Chicago for Wally Chambers. They gained additional 2nd and 3rd round picks from Oakland in return for DT Dave Pear. They also had the extra 3rd and 5th round picks from the Houston trade in 1978. They gained a 3rd round pick from Baltimore for RB Dan Hardeman but lost their own 3rd round pick to Miami as compensation ordered by the NFL for signing free agent Randy Crowder. The 8th round pick from Miami came in return for DE Council Rudolph. Giving up your No.1 pick is always a risky business and this deal can be viewed in two ways. Would the Bucs have got to the championship game without Chambers? If no, then it was an OK deal. If they would, and I think they probably would for the impact he had on the team in his two seasons, then it was a bad trade. 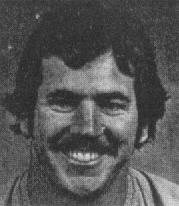 Chambers was a great player for the Bears in the mid 70s but was way past his best when this deal was made. Played four seasons for the Bucs, albeit with one hampered by injury, and was a starter at guard for most of that time. Never a dominant lineman but a serviceable one from the selection anyway. Had two seasons, 1980 and 1982, as a starting receiver for the Bucs, but the emergence of Kevin House and later Gerald Carter, made him expendable after four years in Tampa. Had three fairly successful years in Tampa and only the arrival of the best back in franchise history, James Wilder, saw an end to his playing days as a Buc. Never did break into the starting line-up in his two seasons in Tampa but the defense was a serious strength in depth at that time. Highly-rated coming out of college but never did anything major for the Bucs save one game against the Lions as a rookie. NFL veteran who played one season for the Bucs after a long and distinguished pro career. A 4th rounder for a year's rental is probably worth it even now. Spent three years as Doug Williams's caddy and threw one TD pass amongst his five attempts. 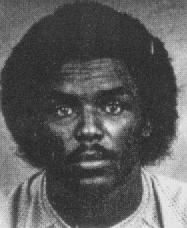 Went on to serious success in the USFL where he led the Philadelphia/Baltimore Stars to two of the three championships. Was primarily a special teamer for his three seasons with the Bucs, but to only give up a 6th round pick for that length of service and decent depth at linebacker, then it has to go down as a good deal for the Bucs. Mid-season deal done during 1978 for a receiver who played but half a season and had a grand total of eight receptions in that time including four starts. One of the best late picks the Bucs have ever had. Sanders was converted to an offensive lineman in his second year and went on to start at tackle for the best part of three seasons in the 1980s. Never played football in the NFL at all. Had been a multi-purpose threat in college as a returner and receiver, but couldn't handle the switch to the pro game. Became one of the main stays of the special teams for six seasons and was a solid No.2 tight end behind Jimmie Giles. Never played football in the NFL at all. Had been used extensively as a blocking tight end in college and had a grand total of four, yes four career receptions in his entire college time. What a fantastic selection - in the final round, the Bucs acquired their starting nose tackle for seven seasons and one of the finest people ever to play for the franchise.